A 7.8 magnitude earthquake struck central New Zealand just after midnight, the U.S. Geological Survey said, causing widespread damage and generating a tsunami.Thousands of people along New Zealand's east coast fled their homes to head for higher ground as emergency services warned of destructive waves of up to five meters (yards) in some areas. This is not quite accurate. 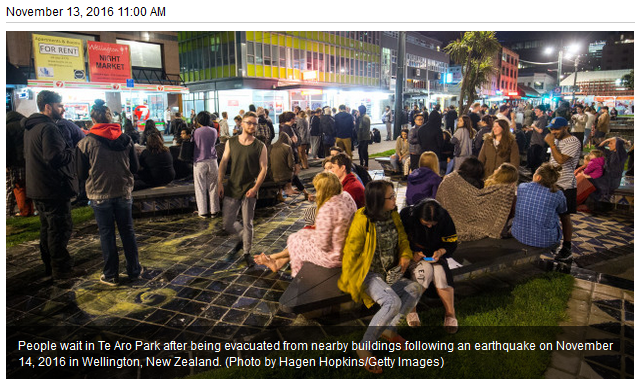 It was a 7.5 and people fled homes because of a tsunami WARNING, not because one hit.